E. Doctor Smith began his musical journey as a teenager playing percussion in the District of Columbia Youth Orchestra and in Maryland’s Montgomery County Youth Orchestra. 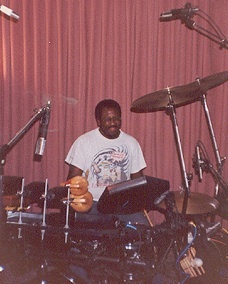 Inspired by the Miles Davis fusion bands of the mid-70s, he continued his studies with Paul Sears, drummer of the Muffins. His first group, Oranus Rey, featured guitarist Paul Bollenback, bassist Ed Howard, and saxophonist Tim Chambers. In 1980 Doc moved to New York where he met fellow Music Building tenants Madonna and her co-writer, Stephen Bray. With Bray, Doc performed in the Breakfast Club and The Same. The Same was produced by Brian Eno and featured keyboardist Carter Burwell, guitarist Chip Johannsen, singer Clodagh Simonds, bassist Stanley Adler. 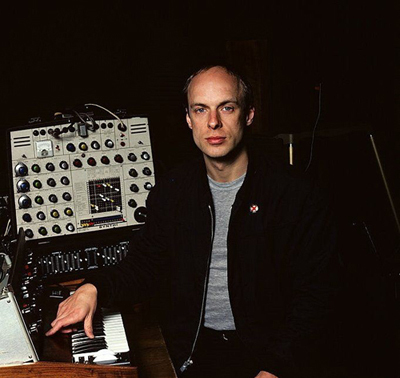 Eno is wearing the band’s signature button with the motto "Semper Mutants." Following Bray and Madonna to Los Angeles, Doc assisted on many of Madonna's biggest albums as well as other of Bray's projects including Nick Kamen, Gladys Knight, The Breakfast Club, Brian Ferry, and Steel Pulse. In L.A. Doc’s sound engineering skills were honed in sessions working alongside Michael Verdick and Tony Shepperd. Back on the East Coast, Doc performed with the New England groups K2, Flash to Bangtime, and Feat of Clay using a Simmons kit he called the “Beast." Inspired by that of British drummer Bill Bruford, Doc’s 12-piece kit was the first embodiment of his love of digital drums. 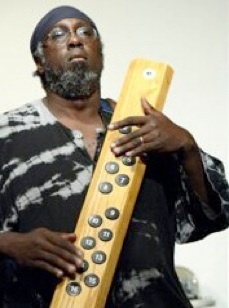 In 1995, as a member of the trio Between The Lines, Doc designed and built the Drummstick, a percussion controller consisting rather humbly of a 2x6 piece of wood with 16 finger-pads. Borne of a desire to walk on stage, plug in and play like a guitarist, while accessing his beloved and virtually infinite world of digital sounds, Doc’s Drummstick developed a life of its own. 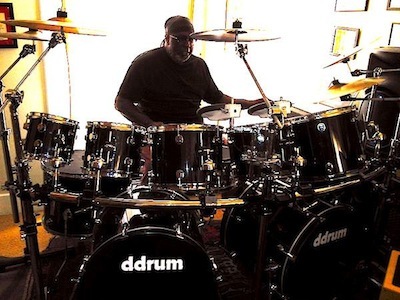 In 2000 Doc debuted his first CD of original music, The Drummstick, with his band of the same name, which featured core members Jack Wright on guitar, Neil Mezebish on horns, and Celia DuBose on bass. That year he also performed using the Drummstick with guitar legends including Bon Lozago of Gongzilla, Tom Principato, Bill Kirchen, Paul Bollenback, as well as bansurist John Wubbenhorst, tabla master Sandip Burman, and the famed Flecktone, Howard Levy. Now living in and loving San Francisco, Doc performed at the Edgetone New Music Summit of 2006 with horn player Eric Dahlman. 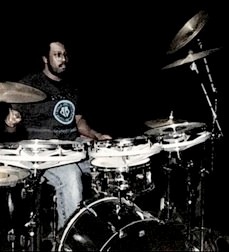 The summer of 2007 saw the release of a new Drummstick 2 CD, a long-distance collaboration with the original Drummstick band and other musical friends (and the re-release of his first Drummstick CD) on Edgetone Records. Doc also produced and performed on an Edgetone release entitled Robert Anbian and UFQ: the Unidentified Flying Quartet. This timely and troubling work of jazz and poetry features poet Robert Anbian, saxophonist Charles Unger, keyboardist Sam Peoples, and bassist Mike Shea. In the winter of 2007, Doc began playing his signature series Zendrum ZX and continued collaborating with the 7 string bass virtuoso Edo Castro. In June of 2008, Doc released his fourth album on Edgetone, “K2”, with long time partners Seth Elgart, Neil Mezebish and Castro, followed by "Live", also on Edgetone with Castro. Doc also continues to perform with Castro, as well as a variety of jazz groups, including the Maki-Smith Duo, with Nora Maki, the UFQ, the Wilbur Rehmann Quartet, the UF2 with Sam Peoples, and the McQuarry, Kleinman & Smith Trio featuring keyboardist Steve McQuarry and bassist Craig Kleinman. "Quantum" was one of Doc's more recent works and his sixth album on the Edgetone Records label. Quantum reunited Smith with his former Drummstick band mate, guitarist Jack Wright (Quantum Kids, Temporal Chaos Project) and features Quantum Kids' bassist, Tom Shiben, and Smith's Feat of Clay co-founder, trumpeter Eric Dahlman. 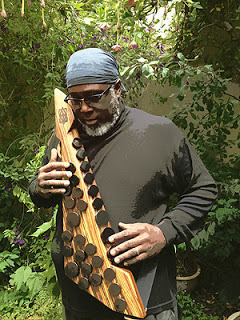 In this collaboration, Smith’s unique fusion approach to the new Zendrum EXP MIDI percussion controller (the first commercially sold EXP, designed by David Haney of the Zendrum Corporation), splash blends with Wright's inspired guitar work and looping mastery to create music swirling between the subtle, the beautiful, the incendiary. The result was a mix of progressive rock and jazz with ambient and otherworldly sounds. Doc's latest projects are with bansurist John Wubbenhorst and his group Facing East; "FutureJazz”, his seventh album on the Edgetone Records label with guitarist Peter McKibben, and flautist Laura Austin Wiley; Steve McQuarry's Electric Quartet featuring bassist Ted Burik and violinist Michele Walther of McQuarry's Resonance Jazz octet. Doc also performs regularly with the Laura Austin Wiley Electric Quintet with keyboardist Jim Lang, guitarist David McFarland and bassist Edo Castro Woodhouse. Doc recently completed a tour with bassist Jason Everett’s Deep Energy Orchestra, featuring Trey Gunn of King Crimson on Warr guitar, guitarist Fareed Haque of Billy Cobham’s Crosswinds band, Radhika Iyer on electric violin, Phil Hirschi of the Mahavishnu Orchestra on cello, Chaz Hastings on tabla, Rachel Nesvig on violin and Aleida Gehrels on viola.